The Yeats Thoor Ballylee Society is delighted to welcome Caitríona Yeats, Solo Harpist at the Danish Radio Symphony Orchestra and granddaughter of W.B. 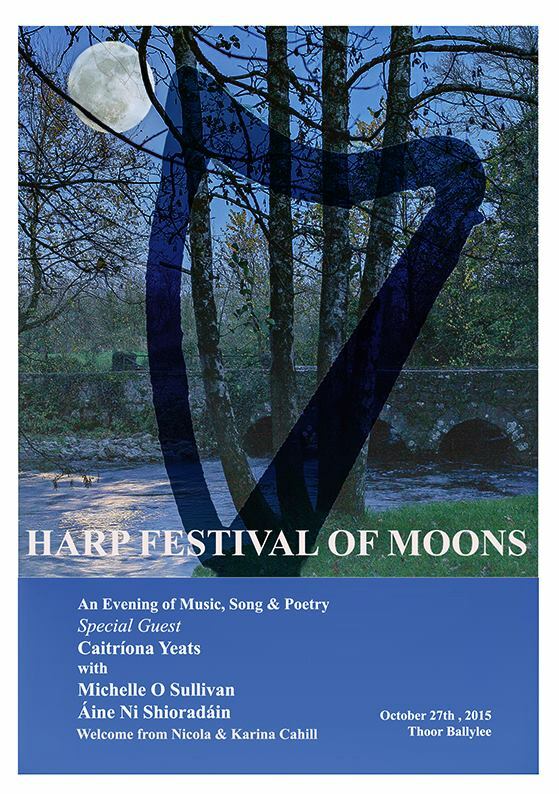 Yeats to perform at the Harp and Moon Festival taking place in Thoor Ballylee on the 27th of October. She will be joined by celebrated artists, Aine Ní Shioradáin, harpist and singer; Michelle O’Sullivan, poet, as well as Nicola and Karina Cahill on harp and flute. A small reception will open the evening’s entertainment at 7.30pm. 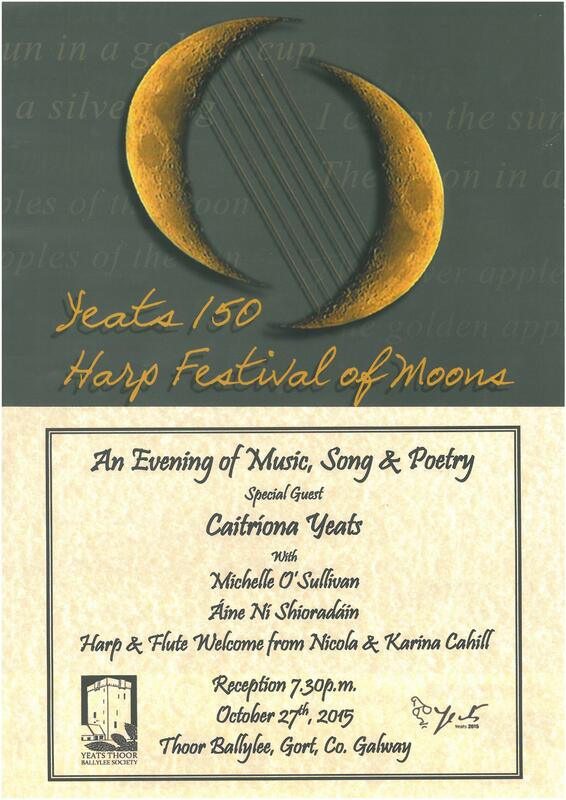 This Harvest Moon event is part of the Harp Festival of Moons, a year-long festival dedicated to W.B. Yeats, whose literary work was frequently inspired by the moon and the local landscape. Thoor Ballylee was the poetic model for his famous poem “Blood and the Moon” and where he set the “The Phases of the Moon”. ← Lady Gregory comes back to Thoor Ballylee this Wednesday!